By W. Gardner Selby on Wednesday, June 14th, 2017 at 12:20 p.m. Above this story, we've shared a fresh photo of the Central Austin house Greg Abbott had built for his family before he won election as governor in 2014 and moved south to the Governor’s Mansion. Any trees stand out on that wide pretty lawn? The question intrigues because Abbott recently insisted the City of Austin kept him from removing a common pecan tree from the property--yet the tree was indeed removed in 2012, news organizations have confirmed. Abbott, announcing his plans to call legislators into a special session starting July 18, said last week that once members vote to keep several agencies in business, he’ll add 19 other topics to the 30-day agenda including, he said, his desire to prevent local governments from regulating what residents can do to trees on their own property, among topics intended to leash local governments. Roughly 50 Texas cities--including Austin, Pflugerville, West Lake Hills and Round Rock--have tree protection ordinances, the Austin American-Statesman reported this week. Abbott dramatically shared his personal trees’ tale in a June 7 interview with Fort Worth’s WBAP-AM after telling hosts of the station’s morning show: "Austin, Texas owns your trees. That is insanity" and, Abbott said, "socialistic." 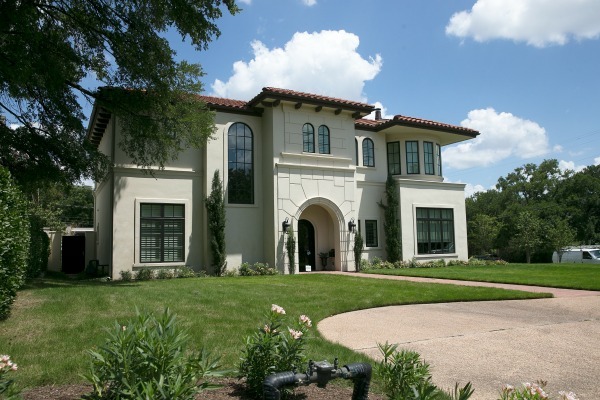 "I live in the Governor’s Mansion now," Abbott elaborated (he no longer owns the other house). "But before that," he said, "I had a house. And I wanted to cut down a very common pecan tree in my yard. And the City of Austin told me, ‘No.’ I could not cut it down. "And I had to pay money to the City of Austin," Abbott said, "to add more trees to my yard because I wanted to cut down one very common tree that was in a bad location." Abbott went on to say that Austin and other cities with such tree rules "is hijacking your property and we are not going to allow it in the state of Texas." So, did Austin city officials stop Abbott from chopping down a pecan tree? Officials did intervene, according to public records cited in news accounts posted this week, yet contractors working on Abbott’s behalf succeeded in winning multiple approvals to remove big trees despite Austin regulations intended to protect heritage trees from any old axe. "Abbott’s tree chagrin apparently dates to 2011, when two large pecan trees stood in an area of the Central Austin property he owned while he was attorney general. He built a new home in 2011 and a pool in 2012, according to city records. "Austin had just passed an ordinance the previous year protecting ‘heritage trees’ — trees of certain species with trunk diameters of at least 24 inches. The measure bars property owners from removing such trees unless the tree poses a safety risk or prevents reasonable land use. "City records indicate officials granted Abbott permits in 2011 and 2012, allowing the construction, as long as the pecan trees’ ‘critical root zone’ was protected." In May 2012, the stories say, a landscape contractor sought a permit on Abbott’s behalf to remove a pecan tree with a 24-inch diameter trunk, noting the tree was in poor condition and had lost about two-thirds of its canopy. "Unpermitted impacts have occurred within the critical root zone," a city arborist wrote. The city granted the request to tear down the tree, but, as mitigation for the damage, required Abbott to plant new trees with trunk sizes totaling 24 inches. From the American-Statesman: "Austin city officials said the process was standard, but didn’t know why Abbott said he had been told he couldn’t cut down a tree. City records show he was never denied permission to cut down a tree. Abbott’s office didn’t immediately respond to a request for comment." Other than the pecan tree, the city granted requests to remove a heritage elm tree in 2011 and a red oak and a magnolia in 2013 — all without denials or required mitigation. Permits indicate all three trees were in poor condition or dying, the American-Statesman reported. See the governor’s announced list of all the potential topics on the special-session agenda here.